What are the secrets of enduring love? Dr Meg John Barker and Dr Jacqui Gabb explain their book The Secrets of Enduring Love and ask whether we should make grand romantic gestures in a short video. 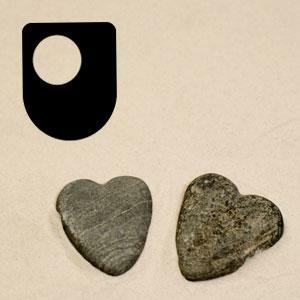 Academics from The Open University, Dr Meg John Barker and Dr Jacqui Gabb, have recently released a book titled ‘The Secrets of Enduring Love’ focusing on what couples actually do to maintain their relationships. Below is an extract from the book. After this you may like to view a video on whether we should make grand romantic gestures and whether this is important in our relationship. 'And they lived happily ever after’. From fairy tales to Hollywood movies, we all know that any good love story ends this way. Just as the relationship starts, the story stops. But what happens after ‘happily ever after’? This book is all about exactly that: how you can live your life, day-to-day, over the whole of your relationship. There’s a lot of advice out there about relationships: self-help books, problem pages, and websites all promising you ‘the secret of staying together’, the rules for keeping your love alive’, or ‘the answer to overcoming relationship problems’. But not much of the advice is based on real-life experience. That’s why we carried out a research study with over five thousand people in long-term relationships. We wanted to find out what they were actually doing to make their relationships work, so that we could share their secrets with you. In this book we’ve brought together the findings of that study with what we know from other research on love, and from relationship therapy, to give you the low-down on how to make relationships last. All the way through we’ve included stories from the people we spoke to so you can see how it works in reality. We’re deeply grateful to them for sharing their experiences with us so generously, even the hard parts. When you read all the different ways they’ve found of sustaining their relationships, navigating the tough stuff, and celebrating the good times, we think you’ll agree that they’re the real relationship experts. And in the same way, you are the expert on your own relationships. The point of this book is to give you all the ideas, examples, and practical tips that you need to find your own way to enduring love. Why have we called this book the secrets of enduring love rather than just the secret? Well, when you ask people what they do to maintain their relationships, they give lots and lots of different answers. Try asking some of your own friends, family and colleagues and you’ll probably find the same thing. Often, what works for one relationship is different to what works for another. For example, one person says that it means a lot when their partner wakes them up with breakfast in bed every morning. Another person grimaces and says they’d hate that because they need at least an hour alone before they’re capable of human contact. One person talks about the importance of having separate interests, another focuses on spending as much time as possible together. One says it’s all about talking things through until they’re resolved, another says they’ve learnt when it’s best to walk away from an argument. There are plenty of books out there claiming to have the ‘secret’ of long-term relationship success: often a list of five or seven rules that will make your relationship last. Those kinds of books promise that anybody who follows their advice will end up with a better relationship. There certainly are things that help to nurture and sustain relationships, but they’re definitely not the same things for every relationship. The key message you’ll find in this book is that different things work for different people, and at different times over the course of their relationship. We found again and again, that different people prioritised different approaches or managed their relationships in different ways. So you won’t find one secret recipe for success in this book, but instead you’ll hear about the many different things that people do which work so well for them. We’ll help you to recognise the small things that you’re already doing but which often go unnoticed, and we’ll offer you a helping hand to figure out what else might work for you and to put it into practice. We called our project Enduring Love? because we were interested in long-term relationships, but also because we want to capture the fact that long-term relationships can be a positive or a negative thing in people’s lives – and everything in between. The word ‘enduring’ has two possible meanings: long-lasting or tolerate patiently something that is usually painful and prolonged. Love can be something that’s valuable because it ‘endures’ over time, but it can also feel like something that has to be ‘endured’ when times get tough in relationships. Sometimes relationships can even feel like something of an ‘endurance test’. Note: we cover both meanings in our book - loving for the long haul, and surviving the tough times in relationships. Video: Should you make grand romantic gestures? With ever-increasing divorce rates and relationship break-ups, how do some couples manage to stay together for years, sometimes forever? In this collection of audio and video podcasts, we reflect on the adult couple relationship in the UK, how couples perceive love and commitment, and the 'relationship work' that people do to sustain their enduring love. Stay together: Can LGBQ and older couples show the way to a lasting love? Read nowStay together: Can LGBQ and older couples show the way to a lasting love? This short animation, narrated by Aidan Turner, explores Aristophane's story about humans searching for their other half. Love? What’s in it for me? This short animation, narrated by Aidan Turner, looks at how love is a selfish act that people only do so that they can feel good about themselves. Watch nowLove? What’s in it for me? This short animation, narrated by Aidan Turner, shows the conflict and danger of love from Jean-Paul Sartre's perspective. This short animation, narrated by Aidan Turner, looks at the Oedipus and Electra complexes and how Edvard Westermarck saw these differently. Sexuality and parenthood encompass some of the most ordinary and yet most profound experiences that life has to offer. In this free course, Sexuality, parenthood and population, we look at how attitudes to parenthood and sexuality, and the links between the two, have changed, with specific reference to the fertility decline that began in the mid-nineteenth century. Why is identity important and how are identities formed? This free course, Identity in question, looks at the many different ways in which identity can be categorised. By examining the requirements of the state, how a child views gender, and the importance of race or place of birth, you will start to understand how each individual can have more than one identity. Scottish Government under Creative Commons BY-NC 4.0 license Does Brexit mean another Scottish Independence vote? Disney | ABC Television Group under Creative Commons BY-ND 4.0 license Why do American parties hold conventions?